I picked up Sally Hansen Hard as Nails Xtreme Wear Strobe Flash at Target on clearance a while back and just got around to using it. It's a black and white matte glitter. 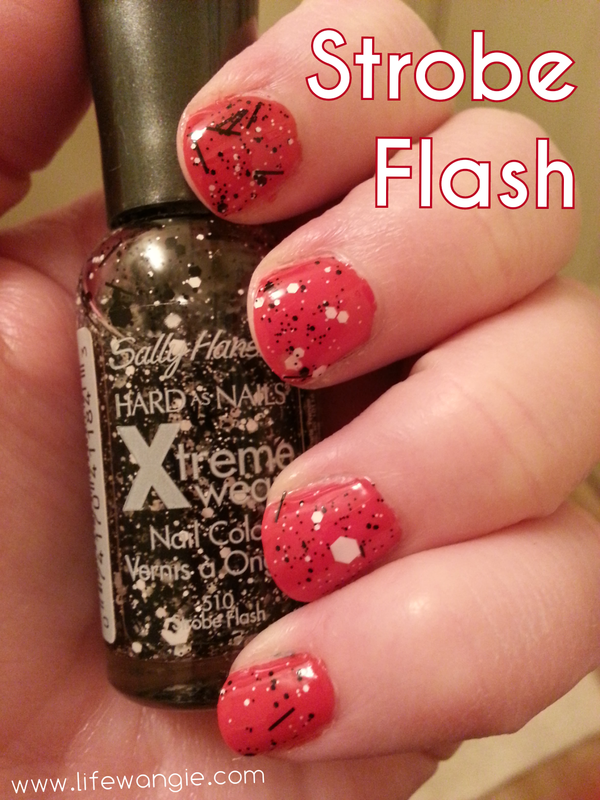 I really like the Sally Hansen Xtreme Wear line. They put out quite a few of the trendy colors and textures and you can try them out without spending a ton of money. It has some hex and bar glitter along with some microglitter. I put two coats of it over Nails Inc. Chelsea Bridge Road (a bright red). I did have to fish out some of the bigger white glitter, but otherwise it went on pretty nicely.